A legal body representing Morsi filed an appeal against a ruling cancelling Egypt’s parliamentary polls. A legal body representing Egypt’s President Mohammed Morsi on Wednesday filed an appeal against a court ruling cancelling the country’s controversial parliamentary polls, judicial sources said. The Egyptian State Lawsuit Authority (ESLA) filed the suit on behalf of the president and the Supreme Administrative Court will examine the case on Sunday, one source said, according to a report in AFP. The ESLA argued Morsi was acting within his sovereign powers when he ratified the law, arguing that it was beyond the lower court's jurisdiction to cancel the elections. 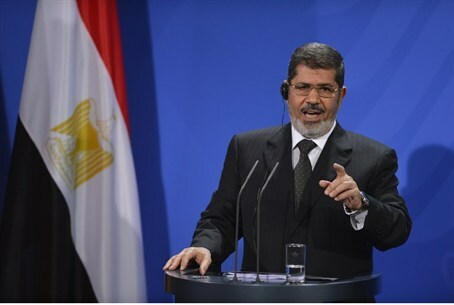 Morsi and his Muslim Brotherhood had both issued statements insisting they would not challenge the court's decision. Wednesday's appeal intensifies the ongoing political battle that pits the president and his Islamist allies against a wide-ranging opposition that believes Morsi has failed to address Egypt's dire political and economic problems since coming to power in June. Egypt's main opposition bloc, the National Salvation Front (NSF), had already announced it would boycott the polls -- expressing doubts over its transparency -- and demanded a new electoral law. The Brotherhood and its Islamist allies won an overwhelming majority in legislative polls in the winter of 2011-2012 before that parliament was dissolved for irregularities.